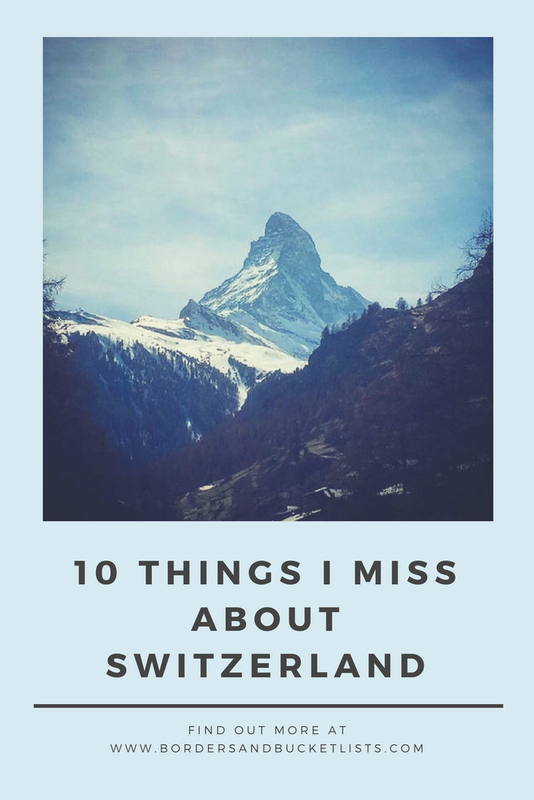 For the handful of you who have been following this blog for a while, you know that, last year, I studied abroad in Switzerland for eight months. It’s been eight months since I left the Geneva airport for the last time, and I’ve been pretty nostalgic these past few days (all the Swiss Instagram accounts I follow are probably fueling this nostalgia with their winter wonderland-like pictures of the Alps and the cute Swiss towns). So to try to cure my nostalgia, here are a few things I miss about Switzerland. Switzerland is hands down the most beautiful country I’ve experienced. They have mountains and lakes and caves and waterfalls. Where did this fairytale land come from? 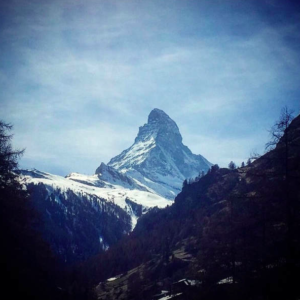 (Refer to the magical picture of the Matterhorn above). And then, imagine coupling these views with the amazing seasons. Sometimes it’s the beautiful blooming flowers of the spring, sometimes it’s the snowy powder of the winter, and sometimes it’s the colorful leaves of the fall. Absolutely beautiful. Très belle. Kind of to keep going on this path of natural beauty, the Swiss people definitely have a connection with nature. Instead of having huge cities in one place and nature in another, the nature and cities are intermingled. So I can get everything I want from the small nearby mall, while only being a ten-minute walk away from a beautiful lake. 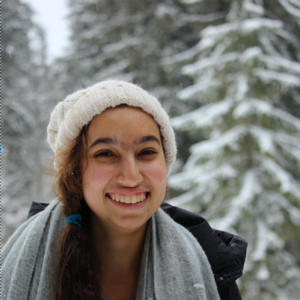 When I was abroad in Switzerland, I was in the French-speaking region. First of all, I think immersing myself in a language that isn’t my native language of English is really cool. However, in Switzerland, the language changes based off of where you are. Sometimes the people are speaking French, sometimes Italian, sometimes Swiss German, and sometimes Romansh. But it’s all still Switzerland. Honestly, I really miss the cheap flights. Geneva Airport was the hub of EasyJet, one of Europe’s budget airlines. I miss being able to fly to London for 60 francs round trip. Now the cheapest flight I can find is $170 to Seattle (no offense Seattle). Kind of on the same wavelength, Switzerland has such a central location in Europe, so you could literally fly, drive, train, or even sail to another country in just a couple of hours. Or, if you were headed to France, you could literally cross a lake and you could get there in half an hour. This contrasts so much with the United States, where our two foreign country options are Canada or Mexico, and, even then, it could take quite a long time to get to either one. I’ve expressed my love of Christmas markets on multiple occasions (I really went in depth in this post). They are just little bubbles of extreme holiday spirit. I love them so much. If I wanted to get somewhere, I could just walk ten minutes to the nearest train station, and I could literally get anywhere in Europe. It was amazing. Now, a car is basically a necessity, and, because I don’t have one, it’s a struggle and a half. Every time I say I miss Swiss chocolate, people who weren’t with me in Switzerland always say, “just go buy some.” No, but you don’t understand. There is a brand of Swiss chocolate – Cailler Swiss chocolate – that is only sold in Switzerland – and it is the best Swiss chocolate out there. When I came back to the states, I brought probably a solid ten pounds of Cailler chocolate. That supply is starting to run low. But that just means I have to save up to head back soon! Even the desserts in general in Switzerland are amazing. They are all about the fruit tarts. And every now and then I would see this gooey cinnamon pie that was SO GOOD – it kind of tasted like a cinnamon roll in pie form. I was definitely a fan. For next few days, I will be posting some amazing pictures of Switzerland on our Instagram account. Follow @bordersandbucketlists to get a glimpse of this magical world. Thank you, Karan! I really appreciate that you took the time to read the post :).